Confirm a Kill have over 25 years’ experience dealing with unwanted pests in homes and commercial premises in Nottingham and the surrounding areas. We are members of both Prompt and NPTA and all our work is fully guaranteed. We offer a free inspection and provide a price match promise so you can be sure you’re paying the best price possible. All our rat control and removal treatments start with a thorough survey. This allows us to identify how they have been gaining access to your property or grounds. We will then provide advice on how best to safeguard your property against them. If any minor building works are required we will give a quote for the work to be completed. 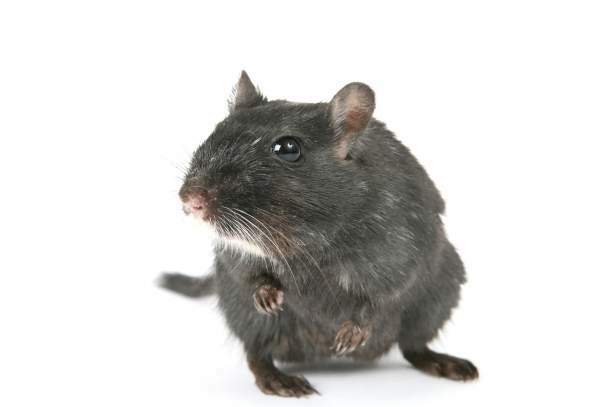 Our treatment process for rat removal takes a minimum of three visits. In the first visit, we carry out a thorough survey and place tamper-resistant bait boxes around the property. We provide detailed information which outlines all the of the rodenticide we have used on your premises and answer any other questions you may have. All baits are securely placed in bait stations which reduces the risk of pets, children, non-target species, and any wildlife from gaining access to the rodenticides. Our second visit is normally carried out 7 to 10 days later. At this point, we check the bait boxes and replenish baits where necessary. We also inspect the area to locate and remove any rodent remains. Our next follow up is again carried out 7 to 10 days after our previous inspection. At this point, we inspect the bait boxes and examine the area around the property for signs of rodent remains. Generally, this will be the end of the process and we will remove all bait boxes from the premises. If any further treatment is necessary then we will discuss the next steps and schedule follow up visits. Some rat problems in properties are due to defective or damaged drainage systems. Should we suspect any defect in the drainage we have the expertise to advise on or carry out the appropriate tests to indicate where the problem may lie. We are happy to provide a quotation for this service should it be required. Rats are now found in every major town or city in the UK. Their numbers continue to grow as they take advantage of the perfect conditions humans have created for them. They are not native to our shores but hitched a ride on trading ships coming from Asia and have since found the UK to be an excellent home. There are two main types of rat species found in the UK. The black rat, which is not especially common, is typically found around ports. They are slender with a long tail and pointed nose and grow to between 160mm to 240mm in length. 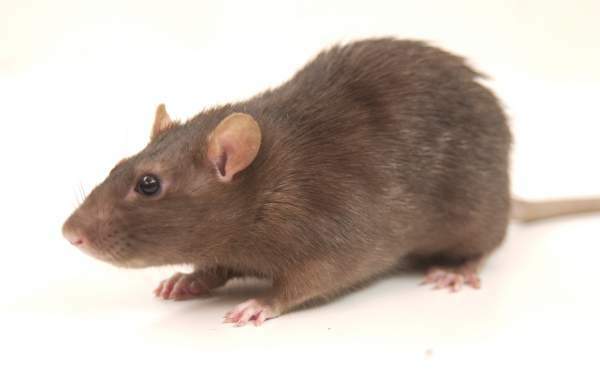 The larger brown rat is the species that you will most likely see in UK towns and cities. They grow up to 400mm in length and can weigh in at over two times heavier than the black rat at 500g. There are believed to be up to 15 million brown rats in the UK and the numbers are rising quickly. As with Pigeons, foxes and badgers, rats are known as a synurbic species which means they thrive in urban environments and will seek out these areas to set up home. Rats enjoy protected, warm and cosy locations with plentiful food sources nearby. Sewers, buildings and houses are perfect locations and as rats will eat just about anything food is never far away for them. As our urban environments continue to develop we are simply creating more and more space for rats to move into. It’s a fairly simple process to identify if you have a rat problem in your home or business premises. Look at for these following tell-tale signs. 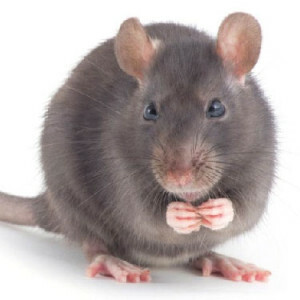 Rat Droppings – Rats can produce up to 40 droppings per night. The brown rat, which is by far the most common in the UK, will create droppings resembling a dark brown grain of rice. They will typically be clustered into specific locations where the rats have been spending most of their time. Gnawing – As with squirrel’s rats have incisor teeth that are constantly growing and so to keep them short they gnaw. They will happily chew through just about anything including wood, plastic and wires. If you think you have a rat problem look for signs of chewing in the areas you suspect they may be. Scratching – Rats are most active at night and are also accomplished climbers who can easily gain access to roof spaces and lofts. Listen out for scratching or scurrying noises coming from ceilings and walls. Smudges/Rub Marks – Rats have poor eyesight and so tend to find safe routes along the edge of walls and skirting which they then frequently use. The dirt and grease from their bodies rub off onto the walls and will soon build up to a noticeable level. Rat Holes – Rats are also excellent diggers and can create extensive underground networks of tunnels and burrows. They prefer to build these burrows under buildings or solid objects so entry holes will often be visible at the foot of walls. Footprints – A simple way of establishing if you have a rat problem is to sprinkle flour across an area you suspect them of being active. Overnight, if the rats move across the flour they will leave behind footprints and tail marks. A rat infestation can be a very unpleasant and distressing experience. The best solution is always to take preventive measures to deter them. Rats are drawn to areas that provide a combination of food, water and shelter. Denying them access to these resources is the best thing you can do to keep your home or business rat-free. 1. Keep food in airtight contains preferably made of glass or metal. 2. Removing clutter from inside and outside will deny rats hiding places which means they will feel less secure and less likely to stay. 3. Pet food and bird food can be a big draw to rats. Ideally, don’t leave pet food down for a prolonged period of time. If you have a bird feeder try and clean up debris or dropped feed from the ground. 4. Rubbish should be disposed of in either metal bins or tall wheelie bins. If you can secure the lid then do so as this will make access to the contents of the bin difficult. Do not leave black bags full of foodstuffs outside overnight. This is a very easy target for rats and other pests. 5. If you have a compost heap don’t throw organic food waste onto it as again it provides an easy target rats will be drawn to. If you have a rat problem or suspect you may have an issue then we are here to help. Please get in touch and we will be happy to carry out a free of charge inspection and recommend a course of treatment. If you think that you have a problem with rats then get in touch with us for a free, no obligation quote.